Break out the crayons. Pull out the paper and pack a backpack. Each year, school supply lists grow, and families in need struggle to find a way to ensure their children will be able to go to school with their necessary supplies. Enter PCIOI, faster than the homeroom bell can ring. This #PCIOIpowerhouse knows just how to rock that schoolhouse – and its growing list of supplies. 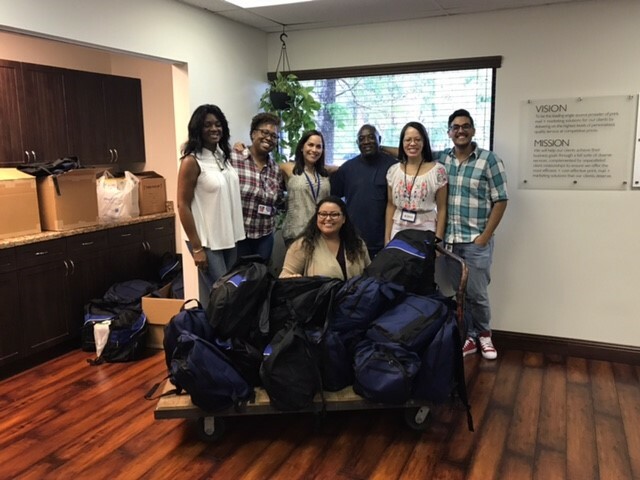 We kick-started our newly launched corporate citizenship program with a Backpack Drive, benefiting Second Chance Youth Outreach, which supports the inner-city youth of today with the programs, support and resources they need for a second chance for their families. We provided the backpacks; our employees provided the supplies and the students provided miles and miles of smiles. Our weeks-long efforts delivered more than 190 backpacks that will go toward helping the students of Second Chance Youth Outreach excel in the 2017-2018 school year. According to Executive Director Miguel Mendez, prior to our call of support a few months back, he did not have any funding in place for a backpack drive. He had no idea that one call would have afforded his organization so much – and that’s in large part due to all of our employees. By providing a brand-new backpack filled with school supplies, the kids can show up to school ready to start the new school year on the same level as their peers and excited to learn. Through their efforts, our employees demonstrated that there is no more powerful force than the human spirit. We are the #PCIOIpowerhouse, helping to build our South Florida communities.